Please visit the Volunteer page if you are interested in joining one of our committees or email the committee chairpersons directly. Any and all help is appreciated and needed! Volunteers are the key to the success of our PTO. ACADEMIC COMPETITION: The Academic Competition committee works with the teachers and administrators to support the Geography Bee, Spelling Bee, Science Olympiad, Math Olympiad, Helen Ruffin Reading Bowl and other academic competition teams. The committee assists teachers by coordinating practices and both in-house and off-site competitions. BOOK FAIRS: The Book Fairs committee organizes the fall, spring, and buy-one-get-one book fairs, raising funds for the school and books for the media center. The committee works with the PTO to schedule the book fairs and promote the events and serves as the liaison with Scholastic. CITIZENSHIP/ SOCIAL CONCERNS: The Citizenship/Social Concerns committee supports the school’s citizenship efforts by organizing a food drive in September, Red Ribbon Week in October, a coat drive in November and toy drive in December, as well as a clothing drive for the DeKalb International School. The committee is responsible for maintaining the school lost and found and donating unclaimed items to the DeKalb International School. The committee also works with the school and community to organize and maintain recycling programs. 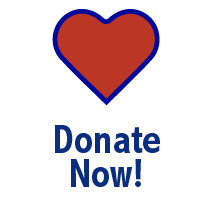 PEACHTREE GATEWAY COUNCIL LIASONS: The Peachtree Gateway Council is a volunteer, non-partisan, grassroots organization of parents from Brookhaven, Chamblee, Doraville, Dunwoody and other communities served by the public schools in our region. We are dedicated to understanding and supporting public education in our region of DeKalb County School District.The Community Liaison attends PCG meetings, as well as other relevant local meetings, and reports pertinent and unbiased information to Vanderlyn parents through the Viking Views e-newsletter. 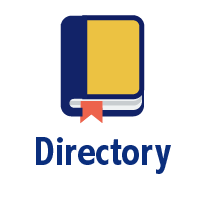 DIRECTORY: The Directory Committee plans and publishes the directory of students, including their home and email addresses, phone numbers and homeroom information. The Committee also assists the Executive Committee in managing the database of student information. FACEBOOK: The Facebook volunteer creates relevant and interesting FaceBook posts pertinent to the happenings at and accomplishments of Vanderlyn Elementary. FIELD TRIPS/CULTURAL ARTS: The Field Trip/Cultural Arts committee schedules in-school and off-site trips and events to support the instructional programs in the classroom. The committee works with the teachers to set the field trip calendar over the summer and procures transportation and other details entailed in executing field trips. GROUNDS: The Grounds committee helps to maintain the beautification on campus at Vanderlyn Elementary School. The committee also coordinates a grounds clean-up day with a local church in the fall and an additonal grounds clean up day in the spring. HOSPITALITY: The Hospitality committee provides refreshments at special events held by the school and the PTO throughout the year, such as STEM nights. The hospitality committee also provides lunch/snacks for volunteers on Registration Day. INFORMATION BOARDS: The Information Boards committee is responsible for communicating information to the school through the outdoor marquee signs and bulletin boards located in the front hall of the school. The two outdoor signs, located in the carpool loop and the bus loop, are generally updated on a weekly or bi-weekly basis with current events. Sandwich board signs are available to use for advertising special events. The Information Board committee also coordinates the monthly displays on the bulletin board in the front hallway of the school. INTERNATIONAL: The International committee promotes understanding and appreciation for the diversity represented within Vanderlyn Elementary School. The committee plans and runs the “Passport to the World” event. LITERACY/MEDIA CENTER: The Literacy/Media Center committee supports the librarian and media center staff by coordinating volunteers during school hours. Volunteers shelve books and help by checking books in and out for class visits, as well as occasionally helping the librarian with other projects. The committee also assists in coordinating author visits and supports teachers and administrative literacy efforts as needed. LUNCH BUNCH: The Lunch Bunch committee chairs coordinate volunteers to assist with daily lunchroom duty and Friday ice cream sales. Lunch Bunch enable our wonderful teachers a little “break time.” Volunteers begin after Labor Day and are divided into three 45 minute shifts beginning at 10:15 and running through 12:30. The committee is also responsible for laundering the aprons, as needed. MERCHANT PARTNERS: The Merchant Partners committee serves as a liaison between the PTO and local and national vendors. Ideally, two people co-chair this committee with one person as the liaison for Spirit Nights and the second person coordinating rebate programs. The Spirit Night coordinator makes contact with local restaurants and sets up one Spirit Night per month throughout the school year. 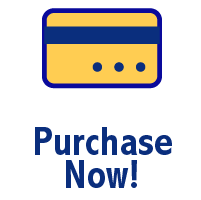 The Merchant Partners coordinator coordinates the receipt of passive income by marketing i9 Sports, Publix Partner cards, Kroger cards, and Office Depot 5% Back to Schools Program as well as coordinating two Box Top collection drives during the school year. 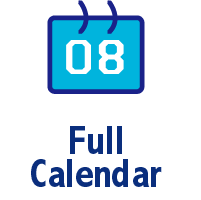 NEW FAMILIES: The New Families committee hosts one monthly school tour to potential Vanderlyn families. They also work with the PTO Secretary to capture contact information from our new families. PRODUCTIONS: Vanderlyn is proud to host productions in Kindergarten, 2nd grade, 3rd grade and 4th grade. We need two parent co-chairs to help our academic and special area teachers plan, organize, promote and budget for these productions. 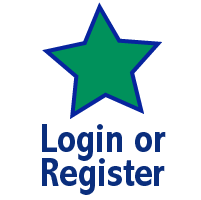 PTO WEBMASTER: The WebMaster volunteer is responsible for the updating and upkeep of the Vanderlyn PTO website and online PTO calendar to ensure that all content is accurate and current. ROOM PARENT COORDINATOR (RPC): The Room Parent Coordinator works with the room parents to disperse consistent information to each parent throughout the school via email communication. SPIRIT WEAR: The Spirit Wear committee designs, selects and sells school spirit items such as t-shirts, shorts, hats, sweatshirts, etc., for the school. During the summer, designs are selected and spirit wear is ordered and available to sell on Registration day. STEM: The STEM committee is responsible for maintaining and stocking the STEM Lab, as well as working with the Principal to facilitate STEM events and initiatives for the school, including marketing pieces and corporate partnerships. The committee is responsible for two STEM events in the year: STEM Showcase Night in the fall and Georgia STEM day in the spring. TEACHER & STAFF APPRECIATION: The main job of the Teacher and Staff Appreciation committee is to coordinate activities for Teacher Appreciation Week to honor the Vanderlyn staff. This committee also coordinates small goodies for the teachers the week before school, monthly activities or small gifts and Fun Friday Lunches for the staff. In addition, the committee recognizes all teachers and staff on their birthday or half birthday with a small gift and assists Mrs. Crenshaw with planning the holiday luncheon. TEACHING GARDENS: The Teaching Garden committee works with teachers at each grade level to incorporate the gardens into the existing curricula for social studies, math, science, and health. Most volunteer work takes place during the school day, working directly with students and teachers between the months of March and November. The committee’s aim is to help the teachers achieve academic goals by providing hands-on learning opportunities that bring lessons to life. No prior gardening experience required, just a willingness to play in the dirt! This committee will help the school implement the Captain Planet Grant the school received. TRAFFIC: The Traffic committee is divided into two parts: Carpool and Walk to School Days. The Carpool committee works with the school administration to implement the school’s traffic plan. The committee helps to secure and manage volunteers for morning carpool (7:15-7:45). The Walk to School committee works with Safe Routes to School to coordinate Walk to School Days throughout the year, including Dunwoody Walk to School Day, State Walk to School Day and National Walk to School Day. VANDERDASH: The VanderDash committee plans the VanderDash, which is Vanderlyn’s family event to promote fitness and fun. The committee is responsible for event sponsorships, logistics, and marketing. VIKING VIEWS: The Viking Views chairperson prepares and publishes information in conjunction with the school principal and the PTO co-presidents, for Vanderlyn students, parents and staff via a weekly electronic newsletter. The chairperson also sends out occasional special announcements from the school. YEARBOOK: The Yearbook committee produces, publishes and distributes the Vanderlyn yearbook. Committee members attend or appoint representatives to attend school events, including socials, field trips, and classroom events. The Yearbook Committee also coordinates individual and class pictures in the fall. 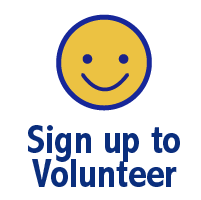 Please visit the Volunteer page if you are interested in joining one of our committees.